Sovad (the other Davos) didn’t include the high price tag (or any admission fee for that matter), nor the “A” list of celebrities like Matt Damon or Will.i.am, and side deals were not being done off stage, probably because there was no stage. (Over 50% of the SOVAD group is women.) No large “trust signs” were erected at the entrance to our gathering like the one leading up to Davos. It was just too darn cold for anyone to want to climb a ladder, especially those in skirts. Rebuilding trust (think Facebook.) Sheryl Sandberg was the trust “expert” on this subject. To the attendees at Davos these are certainly important revenue generating discussions to be having. But do they actually get to the heart of trust, or even move the needle slightly to elevate societal trust? That’s a solid “No.” Here’s why. It seems only one trust conversation was missing at Davos, and probably the most important one: How do we move our societal institutions from trust buzz to trust action? And that was the ONLY conversation at Sovad. 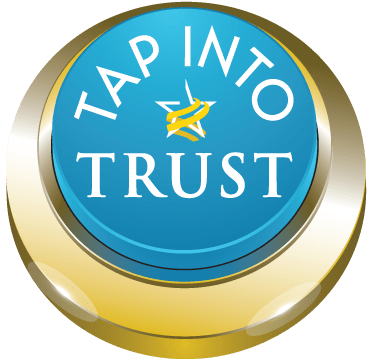 With no revenue generating agenda, we created 12 universal principles for elevating trust and began asking those who didn’t travel to Europe, how that “trust thing” is working in their organization. After all, isn’t that where trust starts (and ends)? Apparently, we struck a chord as over 35,000 unassuming folks from around the world have joined the conversation. Will you take our brand new (one question/one minute) survey? Find out how your organization compares to others. Could it be that the “nothing” has “something” to do with trust?